Giant papillary conjunctivitis, commonly referred to as GPC, is a condition in which the inner lining of the eyelid (known as the palpebral conjunctiva) becomes inflamed and small bumps develop. These small bumps—known as papillae—often form in response to some type of chronic irritation, like wearing contact lenses. In GPC, the bumps grow and combine, forming very large bumps that sometimes resemble a cobblestone appearance. People with GPC complain of redness, whitish discharge, light sensitivity, and eye itching that is worse when they remove their contact lenses. In addition to the symptoms above, you may also notice that your contacts tend to move around a lot or don't fit as perfectly as they used to. Although giant papillary conjunctivitis sometimes resembles other eye allergies in appearance, it is thought to be caused by certain proteins that build up on contact lenses over time. GPC can occur in people who wear soft lenses or rigid lenses and can come on suddenly or develop gradually. The large papillae under the eyelids act like little fingers that grab the lens and cause excessive upward movement. 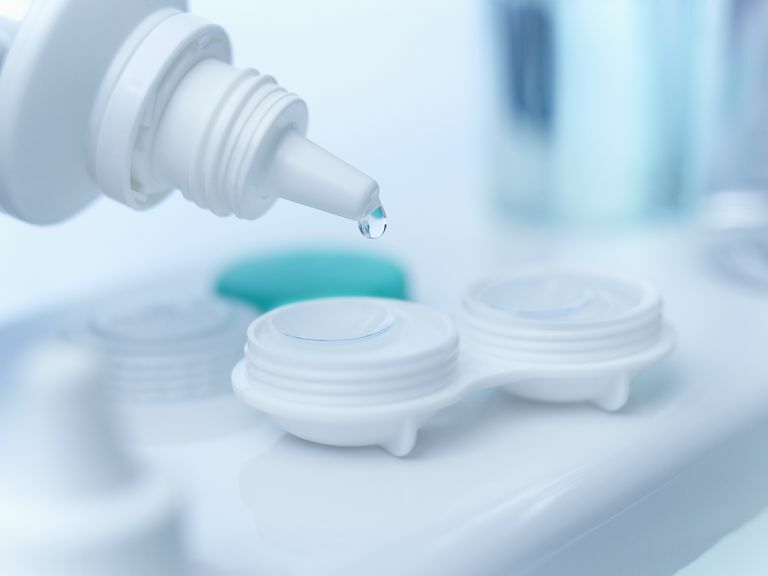 Papillae are more common in contact lens wearers who do not follow proper cleaning and disinfection routines or who over-wear their contact lenses. People who have asthma, chronic allergies or hay fever tend to be more prone to developing GPC. GPC can also be caused by the constant act of blinking over a contact lens. The eye interprets the contact lens as a foreign body and a mild type of mechanical trauma occurs. At some point, the eye's inflammatory processes kick in and the result is GPC. GPC can also occur in people who wear an ocular prosthesis, or in an eye irritated by a suture from prior eye surgery. Your eye doctor will take a careful medical history and listen to your complaints. He or she will then observe your eyes and contact lenses under a slit lamp, a special upright microscope. Your eye doctor will flip your upper eyelid outward so that the conjunctiva, the inner lining of the eyelid, can be easily seen (this is painless). Your doctor may also use a yellow dye to temporarily stain the surface eye tissue to aid in making a diagnosis. Lose the contacts: Your doctor will ask you to discontinue wearing contact lenses, at least temporarily, as the best solution for GPC is to get rid of whatever is causing the irritation. While contact lens wearers are generally not very happy to hear this, it does speed healing. It may only take a few weeks or as much as 6-8 months of not wearing contact lenses for the condition to completely resolve. At the very minimum, it may be important to reduce your wearing time to only a few hours per day. Find a new cleaning solution: You may be asked to switch to a better disinfecting and cleaning solution. Peroxide-based cleaning solutions are slightly more complicated to use but do a much better job of not only killing bacteria and viruses but also of removing any debris that can cause irritation. Try a new contact lens: Changing from conventional or monthly disposable contact lenses to daily disposables often helps considerably. When you wear a brand new lens every day, your lens does not have much of a chance to build up proteins that you have become allergic to. Use prescription eye medications: Your eye doctor may prescribe steroid eye drops to lessen the inflammation. Steroids work very well for most sufferers. If your doctor prescribes topical steroid drops be sure to follow specific instructions, as steroids used in the wrong way can be harmful. A combination of mast cell stabilizer/antihistamine eye drop can often help considerably and are safe for most people to use every day. Proper contact lens hygiene and wearing habits are very important to lower the risk of developing giant papillary conjunctivitis. Numerous studies have shown that the frequency of lens replacement correlates closely to the development of GPC.